Black and white interiors are energetic, modern and often downright dazzling. But if you have a small home, if can be tricky to navigate your way through designing a monochrome decor. After all, we're supposed to avoid black in small rooms, right? Well, while black walls can make a room feel small, this doesn't mean that black can't be used to spice up a small room. It can also be used in a bunch of other ways for some really spectacular results. To prove it, we are going to present 8 black and white decor ideas for small homes. Enjoy! 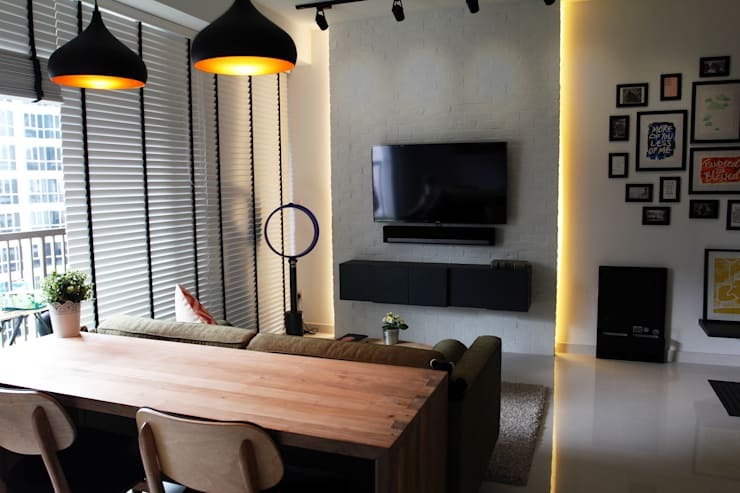 This small monochrome living room has been designed with a very smart and sparse amount of black. The black edging of the blinds really highlights the height of the room and makes it feel large. To complete the effect, the other two black elements in the room have been mounted on the ceiling. Monochrome interiors often need an extra hit of variety to come to life. 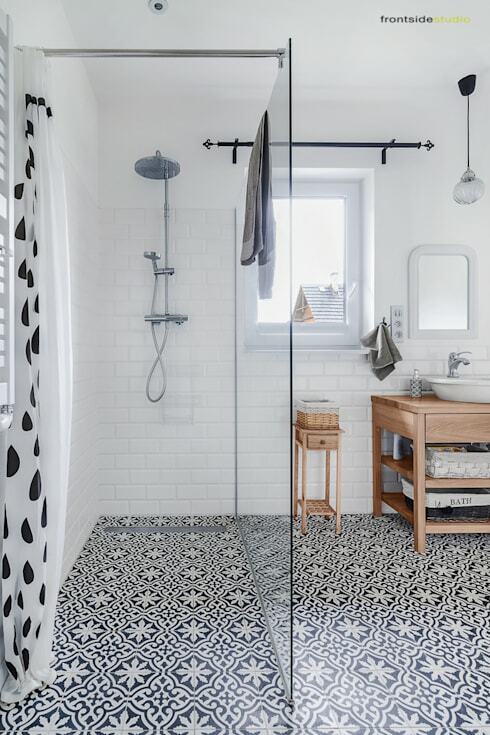 Black and white patterns are always a lovely way to introduce this zest. But in small homes it's best to keep things simple, so one dominant pattern should be used. It might even help to team it with an otherwise all white interior. This small bathroom shows how it can be done well. But we would skip the polka dot shower curtain if the bathroom were any smaller. Variety can also be introduced with metallics. They are a good way to add a hint of colour without really breaking up a monochrome palette. They also add a hint of glamour to any room. Wood is another element that really works well with a black and white palette. But as always, it's best to create a careful balance of variety and simplicity. 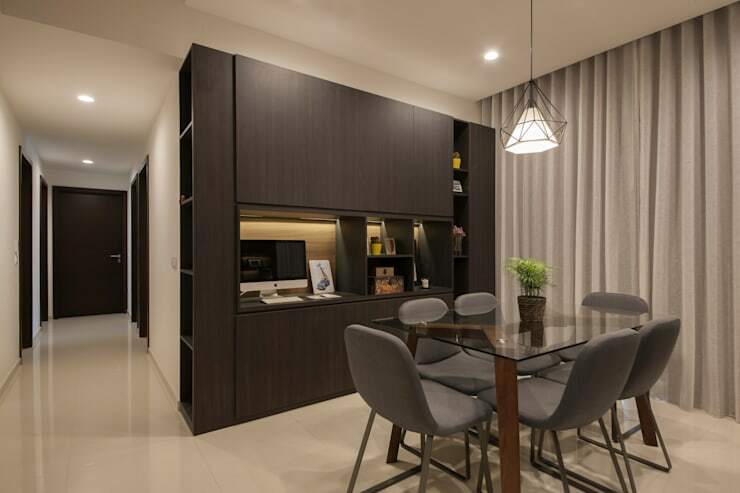 In this small home the wooden dining table has been placed to sit flush with the back of the sofa. This helps group the two earthy toned elements together and avoid the dreaded cluttered look. 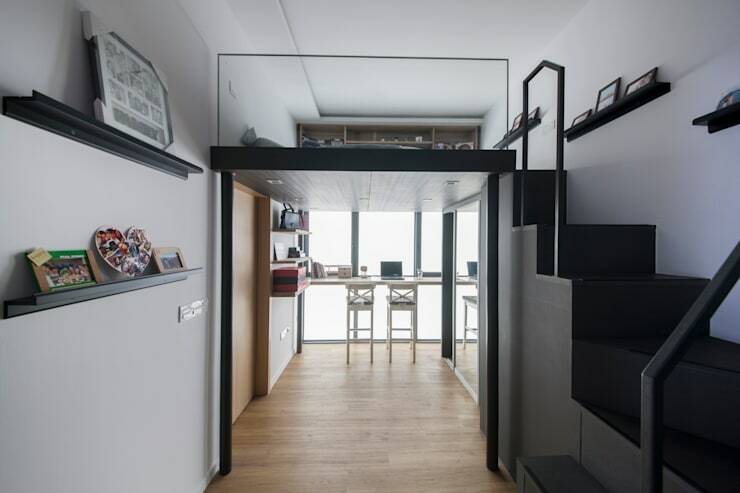 In this little loft home, black has been used to define and elevate the sleeping area. It helps raise the eye upwards and makes this room feel light and airy. Note how it's been teamed with a glass wall. Glass, like metallic and wood is another good antidote to the heft of black elements. It can be hard to pull off a small interior with a large black element like this built-in wall cabinet. But the visual weight has been countered with some clever recessed lighting. 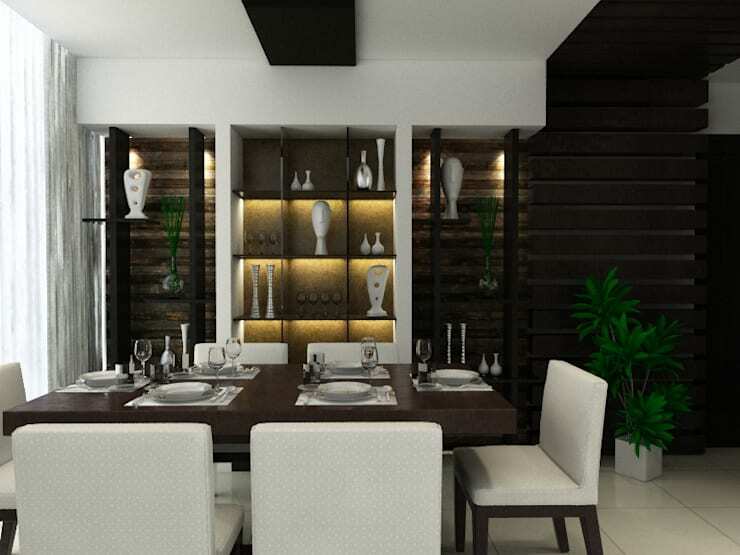 The lighting makes this dining room positively distinguished. Black and white interiors look fabulous with geometric designs. This is certainly one of the easiest looks to create in a small home. All you need to do it get some wall-mounted cabinets and mix around the door covers. Check out this monochrome wall cabinet for inspiration! There are an infinite variety of shades that make up a monochrome palette. 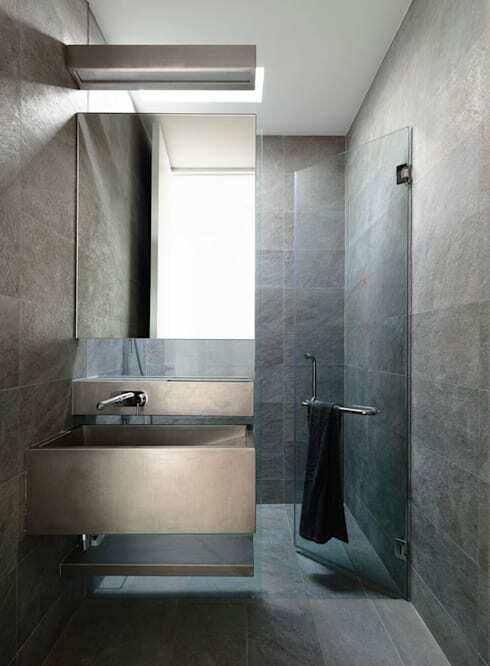 Make your small home feel calming with a gentle variety of soft greys. 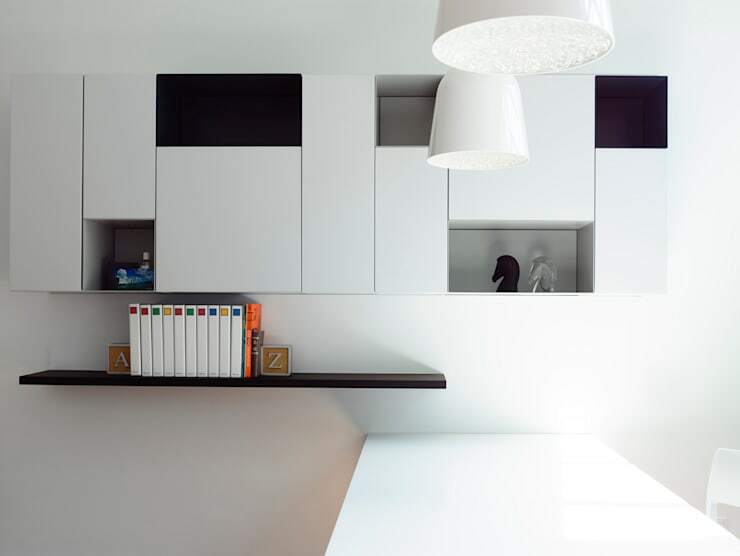 This is one approach that will make your small home feel uncluttered and serene. 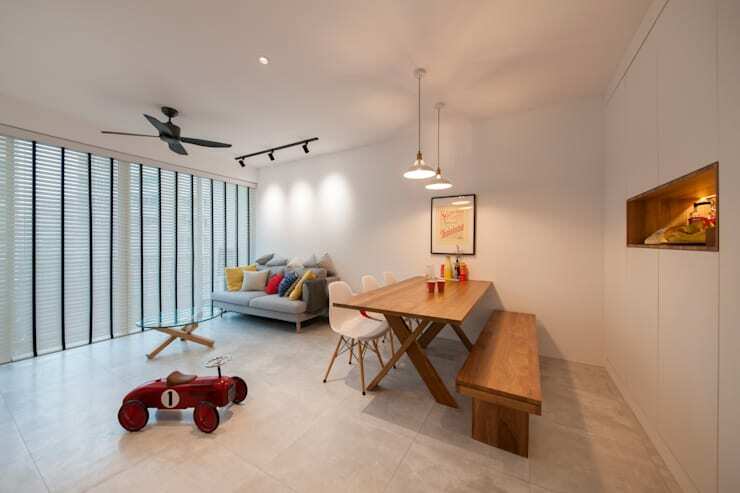 For more small home inspiration, check out 7 ways to create different zones in a small apartment. Which of these monochrome interiors is your favourite?